We grew up on the south side of Fort Wayne, Indiana in a neighborhood defined by its low cost new homes or older homes which were occupied by lower middle class families. Our house, did not fit the mold. It had been a convent for the nuns before it was moved one block to the location where our house finally stood strategically located to one corner of about three acres of land within the city. It was situated immediately adjacent to a block of homes built right after the war which were small, modestly priced bungalows. As a child, I always viewed those bungalows as luxury homes since they were new and most of them had free standing garages in the alley facing our house. Our house was essentially a three story affair build doing the turn of the century. It was basically a box with a front porch and almost three times the size of the homes next to it. In my eyes, it stood out in a way that embarrassed me as it was old and different from all the homes surrounding us. I was wrong. But in the eyes of a child, truth is often obscured by prejudice born of our unique early experiences. One aspect of our house, however, gave me great pride. That was the yard surrounding our old house. Since we had some acreage associated with our house, we used part of it to raise a rather large and impressive vegetable garden. We also had a huge apple tree in the back yard that was said to have been planted by “Johnny Appleseed” who indeed spent time in Fort Wayne and was eventually buried there. That tree was so big in girth that we could seat three or four of us in the crotch of the tree. It would take four of us with arms outstretched to reach around the trunk. Finally, the entire yard was trimmed in Privet hedge. Privet hedge has the capacity to be trimmed in all sorts of shapes and is frequently associated with English gardens and some very exclusive homes. My father had a green thumb and set about planting that hedge as soon as we occupied that house. As a teenager, I assumed responsibility for trimming that hedge as soon as I was able to handle the hedge trimmers. I volunteered to do it because, in my eyes, that hedge when well trimmed elevated it to higher status within the neighborhood. As a result, I made sure that it was kept trimmed. During the summer, it would grow and send out shoots which constantly required trimming. The trimmers I used were not electric trimmers. They were shears which were operated by snapping them shut like very large scissors with a sweeping action bringing my arms together. The hedge had grown to a height that required me to cut the surface on the top flat and level at a height that necessitated holding them at shoulder height and snapping the handles together to overcome the resistance of the many shoots sprouting from the top of the hedge. It required considerable strength and endurance. As a result of the amount of trimming that I did during each summer, I had “pects” that would rival any weightlifter. Add to the mechanical effort that I had to exert to trim the hedge the fact that my father really enjoyed taking the cuttings from my clippings to sticking them in the ground to cultivate more and more hedge to surround the property. Each year more sections were added and even though they added to the impression made for those viewing our property, it increased my workload and made it more and more difficult to keep the entire hedge trimmed. It got to the point that, by the time I finished one end of the hedge, the other end would have grown enough to require me to start all over again. That privet hedge is not unlike many of the social media platforms that we are all encouraged to utilized as necessary for our success. We are told that failure to keep up with technology and to take advantage of Facebook, Twitter, LinkedIn and so many other platforms, that we are destined to fail. We are told that we must have a webpage and blog with proper placement so that our media platforms perform to optimize their placement. For a number of years, I have sent students out to interview attorneys to find out how they market themselves. Most of the “newly hatched attorneys” with three years or less in practice use many of the social media tactics to reach new clients with mixed success. As my students interview the more seasoned attorneys, repeatedly they hear that their business is based upon “word of mouth” referrals. The truth is somewhere in the middle and to try and keep up with multiple platforms eventually leads to limited success with all of them. 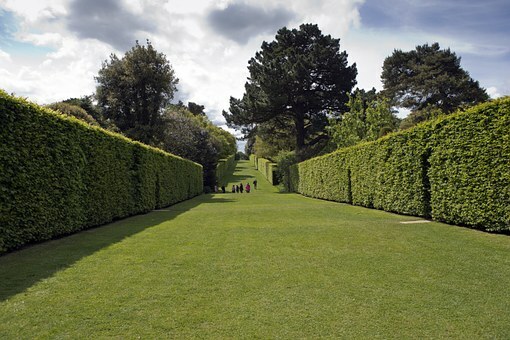 Social media platforms are very much like the hedge that I dealt with as a child. As my father kept planting more and more hedge ahead of me, so too do more and more people espouse new platforms and technology that we need to adopt to stay competitive. By the time we adopt multiple platforms, each one needs to be kept “trimmed”. In other words each one needs maintenance. A stale website is almost worse than none at all. Dead links and outdated information send a signal that you are not on top of things. It is one thing to be on the leading edge, it is another thing to be on the “bleeding edge”. Trying to keep up with every new tech “toy” and falling prey to promoters, blogs and others who encourage you to follow along with their pitches. My advice is to walk before you run and to test the waters by listening to others who have legitimate results from the platform that they rely upon. Be cautious. Find the right fit both in terms of the clients you seek to reach and the time you have to devote to keeping it “trimmed”. I think you will find that that approach will be more realistic and manageable. Posted in For Established Solos, For Law Students, For Recent Graduates, Technology Series.